What Are You Doing Sunday Night At 8PM Eastern? A slightly strange question, I know! But I am FIRED UP about the free live online event I will be teaching at that very time. 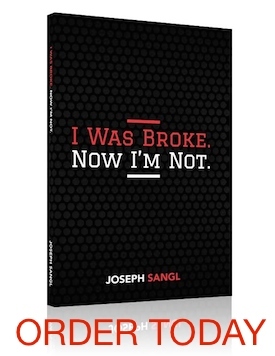 We’re celebrating the complete rewrite, expansion and release of my book, I Was Broke. Now I’m Not. which officially releases Sunday! In keeping with our team’s mission of helping people accomplish far more than they ever thought possible with their personal finances, we wanted to be able to provide a free equipping event that can help the year 2015 be your best financial year yet! I’ve even asked my bride, Jenn, to join me so she can share her own unique perspective of our family’s money journey. I really think you will find it to be a time of great encouragement and practical teaching that will challenge you to take your next financial steps. It’s free, but you must REGISTER.